"Interfaith Interdependence in a Post-Modern World." 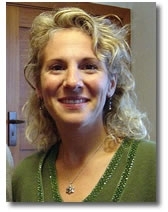 Rabbi Johanna was born in Washington, DC, USA, and has been a rabbi for eleven years, serving with the Union of Reform Judaism congregations in Los Angeles, Orange County, California, and Anchorage, Alaska. She completed her undergraduate work at the University of Wisconsin, in Madison, Wisconsin. Upon graduating she moved to Jerusalem, Israel, to begin her rabbinic studies at The Hebrew Union College Jewish Institute of Religion. She completed her training in Cincinnati, Ohio, before taking her first official rabbinic post at the Wilshire Boulevard Temple in Los Angeles. Rabbi Johanna was appointed rabbi of the Wellington (NZ) Progressive Jewish Congregation in 2006.